Equity markets are trending higher Tuesday but commodities are easing following a strengthening of the US dollar amid weaker-than-expected data in the previous session. 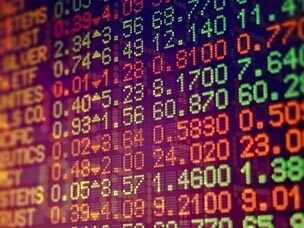 Asian markets closed higher with Sydney recovering some early losses following the RBA’s decision to hold interest rates at 1.5 per cent while it assesses the impact of cuts earlier in the year. Shanghai is closed for a public holiday. In Europe, Germany and France returned to trading following public holidays Monday. London’s FTSE leads the gains as the pound slumped to its lowest for 32 years. North American oil producer, especially the US shale producers, could see the largest impact from a cap on output from OPEC nations. Fitch Ratings says that US shale producers have reduced their cost curve faster than other regions and also have rigs that could quickly be brought on-stream to take advantage of better market conditions. That may be a way off though. Fitch expects that the OPEC cap is “unlikely to result in a strong rebound in global oil prices” and that the outlook is for prices to remain below $55 for the next two years. However, were conditions to push prices to a sustained $55 to $60 level, it believes that US producers are best place to take advantage.